Insanely Simple is an easy-to-read book that shares lessons from Segall’s career working with Steve Jobs – the king of simplicity himself. Insanely Simple is entirely focused on how to use the values of simplicity to improve your business. And by the end of reading Insanely Simple I had a profoundly different appreciation for what simplicity is, how you can use it and why it works in your favour no matter what you use it on. 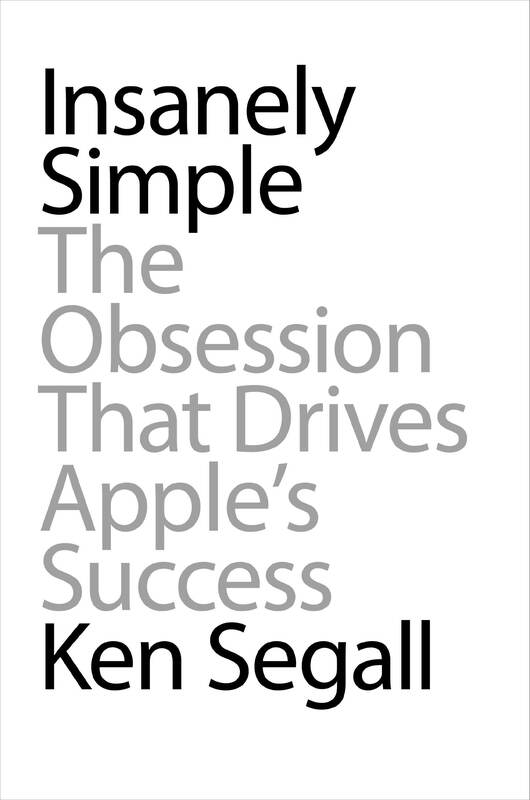 In this book review I’ll give you a summary of what to expect from Ken Segall’s Insanely Simple. I’ll also share the best parts of Insanely Simple so you can get a feeling for if Insanely Simple is a book you’ll benefit from. Sound good? By the way, while Insanely Simple isn’t exactly an investment book, it is definitely focused on business. And the lessons of simplicity can be applied by investors and traders alike, so I thought it was worth including this book review on the StockIdeas.org blog. Don’t let the simplicity of Insanely Simple trick you into letting your guard down. The book is packed with valuable information. And while the laws of simplicity can be neatly summed up in 10 short chapter, Insanely Simple makes it clear that simplicity is something you must always be open to embracing. Complexity is lurking around every corner. This is especially true in the dynamic world of modern business. 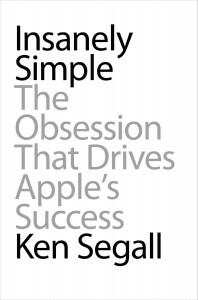 And one of the neat things about Segall’s book is he shares his experiences at Apple as well as other tech companies like Dell and Intel. Insanely Simple provides start insights into the hidden costs of complexity. Since the examples are from contemporary Fortune 500 technology companies they are incredibly compelling and illustrative. The best part about Insanely Simple is how the book is largely anecdotal. Ken Segall has obviously had a very successful career in marketing and advertising. So we are lucky when he lets us in on his private meetings and personal outlooks. As you can tell, I really enjoyed this anecdotal aspect of Insanely Simple. It really helps you see how the lessons of simplicity were applied by the world’s brightest business minds. Seeing how the barefooted Steve Jobs did things in stark contrast to the suit-clad execs at Intel makes it painfully obvious how Apple was destined to do so well. Another interesting part of Insanely Simple is that it was published after the death of Steve Jobs. From Segall’s description in his book, it seems like the culture of simplicity is well-embedded in the culture of Apple and should continue to live on for years to come. Did Insanely Simple Come Up Short? I really liked this book and it was quite easy to read. Segall does a pretty good job of turning the anecdotes into actionable insights. And while you might have to read the book a few times to absorb all of the lessons, it’s simple to understand. Insanely Simple was a fantastic book. I picked it up after a colleague recommended it to me. And boy am I glad I did. So if you’re looking for a business book to help you cut through the noise and focus in on what matters, then Insanely Simple is the book for you. I suggest you buy Insanely Simple on Amazon to save a few bucks from your local bookstore. If you’re already read Insanely Simple, let me know what you thought about it in the comments below. If you’re still on the fence about it you can also watch my short video book review of Insanely Simple below. 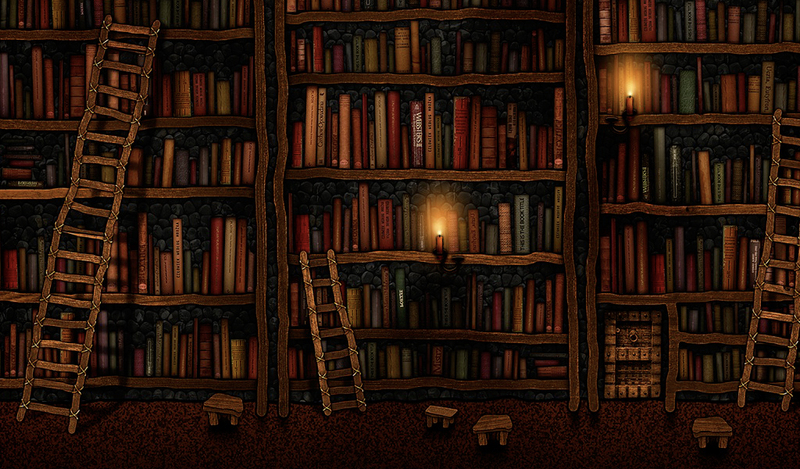 This entry was posted in Stock Ideas and tagged insanely simple book on February 28, 2014 by Jworthy. Investing in Responsible Companies is good practice for all investors. And emphasis on investing in companies with responsible characteristics is a trend that’s starting to gain steam. Investing in responsible companies can take on a few different forms. Depending on your priorities and investment approach, there will be different aspects of companies you’ll want to look for when trying to find responsible companies deserving of your investment (and definition of responsible). 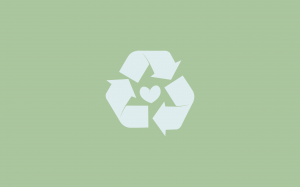 Investing in Socially Responsible Companies is a trend that is gaining a lot of momentum. More and more banks and mutual funds are offering socially responsible investment funds that retail and individual investors can put their money in to. So what makes a socially responsible company? These responsible companies have demonstrated a commitment to make more than just profit for investors (some even account for a triple-bottom-line). If you’re curious about impact investing and improving the social or environmental value of your investment portfolio then click the bolded link above to learn more about investing in socially responsible companies. Investing in Cash Flow Responsible Companies is another prudent step for investors. While it seems like investing in responsible cash flow management is a no-brainer, you would be surprised how many traders don’t even know what free cash flow yield means. When management is responsible about how it handles operating cash flow, capital expenses and capital allocation you can be a lot more confident as a shareholder. That’s because if management is careful with how it spends money you are likely to see more cash come back to your pockets (in the form of dividends, share buybacks or growing intrinsic value). Investing in Companies Responsible to Shareholders is something you should always keep in mind. When I started out investing in stocks I wasn’t too worried about a shareholder-friendly management team. But that turned out to be an expensive lesson. So pay attention to how management talks about shareholder value. While management shouldn’t burn bridges to meet earnings expectations, your life will be much less volatile if you can tell management is responsible to shareholders. If you read a few earnings conference call transcripts you’ll probably see management comment on dividends or share buybacks – their comments here can be very revealing about how responsible they are to shareholders. As you can see, there are a number of different ways to investing responsible companies. And depending what type of responsibility your looking for you might end up with an innovative green-energy company or an entrenched brand with untouchable income streams. Of course, the holy grail of responsible investing is some combination on all of the above. 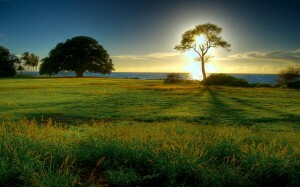 But now let me ask you, what are you looking for in a responsible investment opportunity? And By The Way: If you’re looking for more information, tools and resources to improve your approach to stock picking and investing then I encourage you to sign up using the email form below. You’ll also get access to my free mini-e-book to help you consisntently profit in the markets. This entry was posted in Stock Ideas and tagged responsible investments on February 26, 2014 by Jworthy. The Best Penny Gold Mining Stocks are in high demand these days. That’s because gold mining and other precious metal and commodity stocks are continuing to do well in 2014. And the best penny gold mining stocks present an affordable way to play the potential upside. 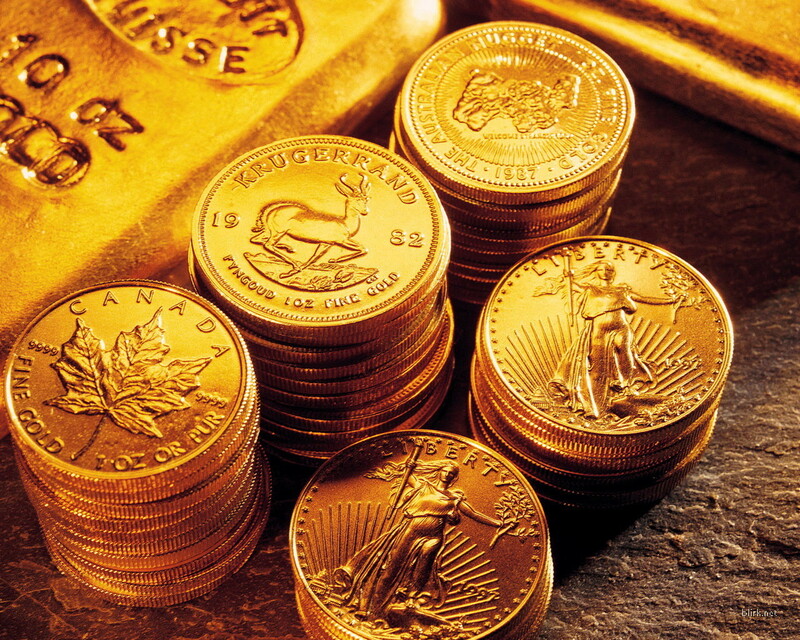 In the blog post we’ll share some of the best penny gold mining stocks out there. I’ll also share some ideas on how you can find the best penny gold mining stocks on your own. And by the way, if you aren’t convinced penny gold mining stocks are worth investing in, you may want to familiarize yourself with our outlook for gold mining stocks in 2014. On the other hand, if you just want to trade any old penny stock, then check out a popular penny stock service like The Penny Stock Egghead. When you’re evaluating the best penny gold mining stocks there are a couple of criteria you’ll want to keep in mind. The last thing you want to do is tumble down an empty mine-shaft when you’re trying to dig for gold. So what should you look for in the best penny gold mining stocks? Under-Valued: The best penny gold stocks are trading at reasonable values. This means the price to book value is probably under 1. You also want to look for conservative earnings valuation. While paying attention to value is always of concern to intelligent investors, it’s even more critical in the volatile world of penny gold mining stocks. Even with the best penny gold mining stocks you want to ensure you have a margin of safety. All-In Gold Production Cost: When you’re trading in gold mining stocks, it pays to know the all in production cost to get an ounce of gold out of the ground. This is important because it tells you what the price of gold needs to be for your gold mining stock to make a profit. The best gold mining stocks are doing a good job managing declining gold prices. But as an investor it pays to know where your penny gold mining stocks stand in terms of production costs and capabilities. Political Risk: A lot of the trouble gold mining companies run in to has to do with political risk and instability. If your gold mining stock is operating in a far-off country with an unstable government, there is a risk the assets could be lost. Admittedly political risk is hard to predict. But the best penny gold mining stocks treat local natives as partners and stakeholders, and they avoid product in dangerous regions around the globe. Looking for gold mining stocks that are headquartered in Western Europe or North America is also a good start. Safety Record: This is a boring one. But the best gold mining stocks are always focused on safety. And while a good safety record doesn’t guarantee future impunity to accidents, it does improve your odds. Plus, if something does go wrong wit the company they will be able to deal with it quickly and effectively. A strong safety record is often an indicator for how effective the company is operating. Disciplined Capital Allocation: By reading a few quarterly earnings press releases you can really get a feeling for how disciplined senior management is about capital allocation. In the competitive world of gold mining, you want management that is careful about how it spends it’s cash. Look for successful cost-cutting initiatives, focus on return on invested capital and emphasis on shareholder value. You can also dig deeper into annual reports and read Seeking Alpha articles to get a better feel for how investors perceive management. While the above factors are by no means an exhaustive list, keeping these characteristics in mind should help you focus in on the best gold mining penny stocks. It’s tempting to look for cheap gold stocks trading for a couple of dollars a share. But you need to focus first and foremost on risk management. Here is a List of Penny Gold Mining Stocks. You can look through these small-cap gold mining stocks yourself to find the best one! So what do I think the best penny gold mining stocks are? IAG is probably my favourite penny gold mining stock. The cost of production is a little bit high. But the company does well on all of the other criteria listed above. By focusing on well-run companies that are trading well below book value, you’re able to improve. In this case, I’m paying a little less attention to the higher PE ratio because the company has slowed down production in the face of declining gold prices. Other interesting gold (and silver) mining stocks that are worth a closer look are NGD and EXK. While these aren’t officially penny stocks the share price is pretty inexpensive and have plenty of room for capital appreciation. If you’re looking for more information check out my articles on gold investing and silver trading for the year ahead. And By The Way: If you’re still curious about learning how to consistently find the best stocks, you may enjoy my free e-book. It’s only 12 pages so you can read it quick. But the information will help you understand how to manage your stock trades and build an approach to trading the markets. You’ll also get free stock trading tips and resources sent to you by email. Will you give it a shot? This entry was posted in Stock Ideas and tagged best gold mining penny stocks on February 25, 2014 by Jworthy. Good Books For Finance Majors can really help you get ahead in your studies. So if you’re studying finance at college or university then the following books will definitely be of interest to you. So what are the best books for finance majors? 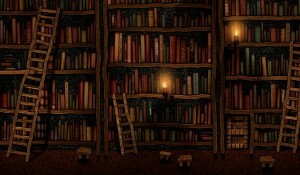 Having read a plethora of investment books I feel pretty qualified to share some good books for finance majors to read. Some of the books are about financial analysis, while others provide an introduction to how the financial system works. In all cases, these are definitely good books for finance majors to read. A Random Walk Down Wall Street: This classic investing book is a nut read for finance majors. That’s because you’re bound to learn bout efficient market throw in your financial studies. So get ahead of your classmates by reading this definitive text on random market theory. Security Analysis: This is the definitive text on value investing that every finance major would be well-served to read. If you’re dedicated to learning the ins and outs of company valuation, then Security Analysis is the best book for you. To be sure, it’s basically a text book (so it’s not that exciting). But the content of the book is incredibly important and a very good book to read if you’re a finance major. The Big Short : Michael Lewis provides some nice context in this book about the most recent financial crisis. This perspective really makes The Big Short a very good book to read if you are a finance major. Understanding how the financial system go to it’s current state of being can help you avoid the financial mistakes that previous investors and finance majors have made. Confessions of an Economic Hit Man: This tell-all book by John Perkins is a must-read for every finance major. If you’re interested in studying finance and economics then you will really want to read this finance book. Unlike most other finance books Confessions of an Economic Hit Man clearly pulls back the veil and explains how your life as a finance major could unfold. Confessions of a Street Addict: Jim Cramer is a Wall Street persona like no other. And in his tell-all autobiography Cramer shares how he climbed the ultra-competitive financial services industry and made it to the top. If you’re a finance major then you will really want to read this book to see how your career prospects might play out in practice. It’s one of the best finance books and a good read for every finance major. Market Wizards: While Confessions of a Street Addict shows you what it takes to rise to the top of the financial services industry, Market Wizards makes it clear there are lots of different ways to extract money from the stock markets. You’ll also learn some of the commonalities that great financiers have in common. If you’re a finance major interested in becoming a trader then Market Wizards is a must-read investing book for you. Berkshire Hathaway Letters to Shareholders: Warren Buffett is the most successful investor of all time. So his annual letters to shareholders are a must-read for every would-be finance major. You can learn more from these letters than eve the best finance lectures. So if you’re studying finance and looking for good books then I really encourage you to check this one out. So there you have my list of good books for finance majors. If you’re a finance major and you have a favourite book that isn’t on the list above, then I encourage you to share it in the comment section below. What’s a good book you think every finance major should read? And By The Way: If your’e still looking for more information on how to improve your approach to stock trading and markets then I encourage you to download my free 12 page ebook below. You’ll get exclusive access to my favourite stock trading tools and resources. This entry was posted in Stock Ideas and tagged finance major books on February 24, 2014 by Jworthy. Secrets For Profiting in Bull and Bear Markets , by Stan Weinstein, is an easy to understand guide to buying and selling stocks. If you’re curious to learn more about what Secrets For Profiting in Bull and Bear Markets can do for you, please keep reading this book review. I just finished reading this great investing book and there are a couple of important things you should know before you go out and buy it too. Weinstein’s book doesn’t assume much prior knowledge and he does a good job of defining his terms and expectations for you up-front. I think this kind of clarity is essential for good investment books to share. Secrets For Profiting in Bull and Bear Markets contains practical advice you can actually use. Weinstein consistently does a great job of providing a pragmatic perspective. And the only ideology he preaches in Secrets For Profiting in Bull and Bear Markets is to remain objective and listen to price. A great example of this is the stage analysis that Weinstein shares. What’s stage analysis you ask? Secrets For Profiting in Bull and Bear Markets explains the four main stages of a market (as well as a couple of easy to use technical indicators for context). Stage analysis allows you to find the highest probability times to buy and sell stocks profitably. And the best part about this analysis is that it’s fast, easy and actionable. You don’t need an expert eye or a PhD to the most of this information. It’s accessible but powerful. Secrets For Profiting in Bull and Bear Markets is a great book. But one of the best parts about this book is how actionable the content is. Everything is focused on how you can make money. Specifically, Weinstein’s rules for how investors and traders should buy and sell stock are really helpful. Secrets For Profiting in Bull and Bear Markets provides in-depth detail about when to buy stocks and when to sell stocks. It explains the most important indicators you should keep an eye on, without overwhelming you. I actually wrote an entire post on Stan Weinstein’s stop loss strategy because I found it so helpful. And beyond just the “how to” Secrets For Profiting in Bull and Bear Markets addresses some of the psychological hurdles that traders and investors have when buying and selling stocks. It’s not as in-depth as Trading in the Zone. But the advice is right on point and certainly will be a positive influence on your trading. It’s this focus on actionable information, especially in terms of buying and selling stocks, that makes Secrets to Profiting in Bull and Bear Markets such an educational read. 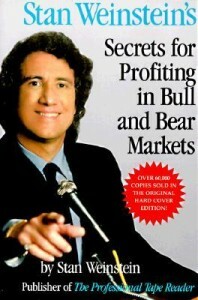 Is Secrets For Profiting in Bull and Bear Markets a Classic Trading Book? One word of warning about Secrets For Profiting in Bull and Bear Markets is that it might be a classic investment book. Of course this can be interpreted as a good thing. But you should also know that in some instances the examples included are a little bit dated. I don’t think this is a big deal. If anything, it goes to show that the trading rules explored in Secrets For Profiting in Bull and Bear Markets are time-tested and just as applicable today as they were when the book were mentioned. But just in case I thought it was worth mentioning. Secrets For Profiting in Bull and Bear Markets is a great book that can help traders and investors alike improve the way they buy and sell stocks. Even if you have no experience in technical analysis Secrets For Profiting in Bull and Bear Markets is a great way to get started. The content is easy to read and easy to digest. This entry was posted in Stock Ideas and tagged investment book reviews on February 24, 2014 by Jworthy. The Best Day Trading Websites can help you make money trading online. So in this blog post I’ll share some of the best day trading web sites that I’ve found online. These day trading website will provide actionable investment ideas and stock picks that day traders can use to improve their returns. SMB Capital is a prop trading firm that relies on day traders to make them money in the stock market. So it’s no surprise the SMB Capital Blog is an excellent source educational material for beginner and intermediate day traders who are looking to improve their returns. The Day Trading Stock Blog provides daily stock ideas for traders who are looking for the next up and coming stock pick. I like this blog a lot because (although the design is a bit crowded with ads) the ideas are the opposite of vapid. I appreciate the concise suggestions and actionable day trading ideas this day trading website provides. Day Trading with Anni is another excellent day trading blog. I’ve been following Anni on Twitter for years now and always appreciate her approach to the stock market. She has a great way of providing perspective to help you from getting overwhelmed by the pressure associated with day trading. It’s no wonder hers’ is one of the best day trading websites. Dragon Fly Capital’s Greg Harmon also provides great stock trading ideas each day. You can visit their website to find actionable day trading ideas whether you are looking for stocks, options or ETFs. Don’t miss this day trading website! 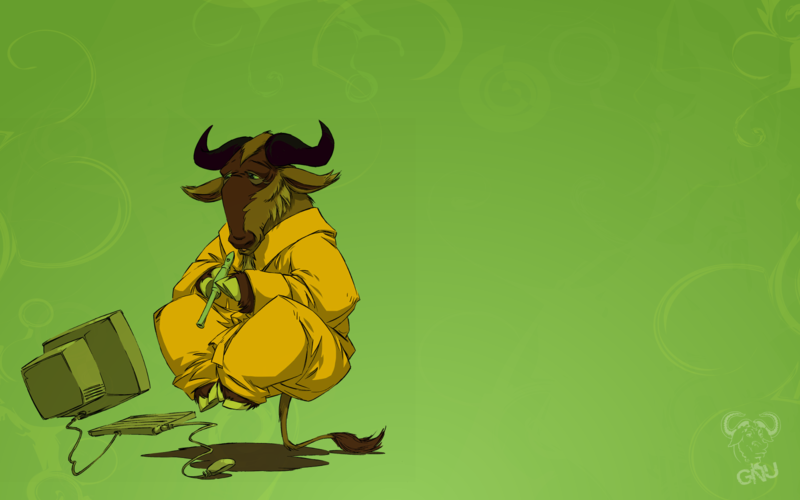 Last but certainly not least is iBankCoin’s Ragin Cajun Blog. I love all of the content on iBankcoin.com But RC’s portion of the website is a goldmine for day traders. Each day (and night) RC posts his favourite stock screens and day trading ideas. I love this mix of actionable trading ideas and educational information. If you’re looking for a website with hot day trading stock picks then you don’t want to miss this. So those are the best day trading websites! What do you think? If you have more day trading website that you want to see just shoot me an email or drop a note in the comments below. I’ll be happy to update this page to include more day trading, tools, resources and websites as I find them. For now, looking at the day trading websites above should get you started on the right path if you’re looking for day trading stock pick ideas. One other idea you might consider is a premium service like The Penny Stock Egghead. I haven’t tried this one out myself but it seems to be popular with penny stock day traders. And By The Way: If you want more information on how to improve your approach to stock markets then I encourage you to sign up for my free e-book below where you can learn how I refined my approach to consistently extracting profits from the stock market. This entry was posted in Stock Ideas and tagged best day trading websites on February 22, 2014 by Jworthy. The Best Graphene Companies To Invest In are in high demand these days. Since graphene is promising to be such a revolutionary material, investors and traders alike want to know the best graphene companies to invest in. Now as with any new technologies, even the best graphene companies to invest in require a lot of due diligence. Success in the lab does not ensure profit in the open market. And the road to commercialization is almost always a bumpy one. That said, the companies below are some of the best graphene companies to explore an investment in. Unfortunately, investing in graphene companies is not as easy as you might think. The publicly traded options for investing in graphene are quite limited. Luckily, there is one mainstream way to get exposure and a couple of over the counter options if you feel like betting more aggressively on the future of graphene. AMG Advanced Metallurgical Group N.V. (AMS:AMG) is a metal and mining company that owns AMG Mining, which is actively pursuing graphene investment and application. The company is already very active in graphite and is now turning it’s eyes to this next generation material. 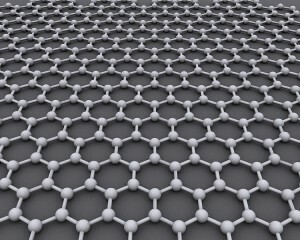 GK-Graphite.com offers in-depth information on graphene uses and future applications. Of course AMG still has a long way to go, but if you’re looking for a publicly traded graphene option this might be a company worth investigating further..
Graphene Nanochem: (LON:GRPH) aims to collaborate industry blue chips in developing graphene applications for engineered plastics, electronics and renewable energy. Their first graphene-enhanced chemical, PlatDrill™ is a high performance biodegradable drilling fluid. Graphene Nanochem might be an interesting graphene company to invest in because they’re able to produce graphene at commercial scale. Of course you’ll want to dig deeper to see if they can do this cost effectively, but this might be a graphene company worth researching further. What’s the Best Mainstream Graphene Investing Opportunity? Nokia Corporation (NYSE:NOK): The big Finnish telecommunications company is also making a play for graphene. While obviously NOK is not focused first and foremost on graphene, they do have their eye on the ball. Recently, NOK (in partnership with the Graphene Flagship Consortium) has received a $1.35 Billion grant to develop graphene solutions. Apparently the company has been actively interested in graphene since 2006. Of course the downside with this more conservative graphene play is that it’s a much smaller part of Nokia’s business. 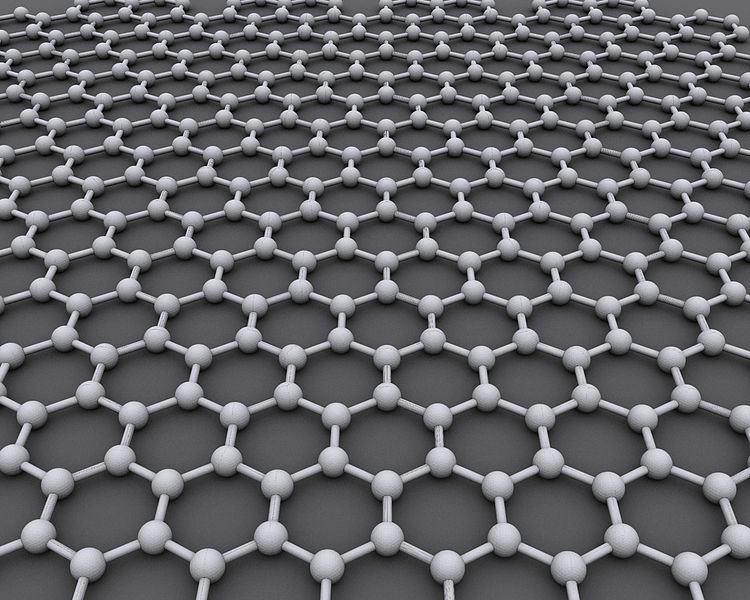 That means while they may eventually be able to integrate graphene solutions into their entire business, it will probably take a long time to gain momentum. While these are the best graphene companies to invest in that I can find, if you know of other graphene investment opportunities I encourage you to send them my way! I’d love to see what other graphene companies you’re contemplating an investment in. And By The Way: If you want more information on how to improve your approach to stock trading I encourage you to download my 12 page ebook below. You’ll also get weekly updates with my favourite tools, resources and tips for improving your investing and trading ROI. This entry was posted in Stock Ideas and tagged graphene investments on February 21, 2014 by Jworthy. By studying the best Ben Graham books below you too can improve your value investing methodology. 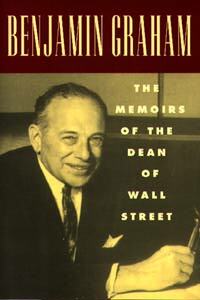 The Best Ben Graham Books are worthwhile reading for investors everywhere. That’s because Ben Graham has influenced the thinking of the best investors in the world, over the course of the last 60+ years. Luckily, Ben Graham has a couple of books that are still in print. Value investing is the investment school-of-thought that Ben Graham invented. The basic premise of value investing is that you can buy companies for less than they are actually worth (value). This is different from the more popular growth and momentum styles of investing where traders just pile on to stocks that are going up. Make sense? If you’re at all curious about the world of value investing then I highly recommend you check out Ben Graham’s most popular book. Read a book review of The Intelligent Investor to get started. You might not have guessed it, but Ben Graham’s best book is actually a more condensed version of his most comprehensive book, Security Analysis. This investment textbook is what he used to teach value investing when he was a finance professor at Columbia University. Pretty impressive, right? Well, I can definitely say Security Analysis is a thorough-read that any would-be security analyst would be well-served to read (a couple of times). But for the average individual investor this dearth of information is honestly a little bit much. Remember, it’s a university-level textbook discussing the fine points of evaluating how much an investment is – so while Security Analysis tells you almost everything you need to know, it’s necessarily a little dry. The best Ben Graham books have inspired a lot of more modern money managers and value investors to write about their own contemporary approach to value investing. While I still think the market is inefficient in the short term, information is a bit more accessible than it was at the start of Graham’s career. So these newer books can be helpful in understanding how to apply value investing ideas today. The Art of Value Investing: Obviously this book is exclusively focused on value investing. The book is framed in a Q&A format and has a variety of today’s best value investors writing about their approach to finding stock ideas. The art of Value Investing serves as a nice refresher after reading Ben Graham’s books above. You Can Be a Stock Market Genius: This off-the-wall value investing book is a great example of how to apply value investing methodology in special circumstances. The book shows you how to find value ideas in bankruptcies, spin-offs and corporate reorganizations. If you prefer value investing this book can really help you find special situations to apply your knowledge. Berkshire Hathaway Letters to Shareholders: Warren Buffett is the ultimate discipline of Ben Graham’s school of value investing. Buffett has been practicing value investing his entire adult life. And his annual shareholder letters are incredibly educational in terms of showing how he as applied value investing throughout his career. And By The Way: If you want to learn more about how to apply value investing ideas in today’s market then please download my free 12 page e-book by entering your email address in the form below. Sound good? This entry was posted in Stock Ideas and tagged ben graham books on February 21, 2014 by Jworthy. Stan Weinstein’s Stop Loss Strategy is a great way to limit your losses. If you want long term trading and investing success having a stop loss strategy like Stan Weinstein’s is critical. So where did his stop loss strategy come from? In his book “Secrets For Profiting In Bull and Bear Markets” Weinstein shares a stop loss strategy that is worth review. As you might know, we already discussed the topic of when to sell stocks, in another recent blog post here at stockideas.org. But since I just discovered Weinstein’s stop loss strategy I really wanted to share it with you. I’m reading the book right now and just finished the stop loss strategy chapter the other day. My favourite part about Stain Weinstein’s Stop Loss Strategy is that he clearly differentiates between how traders and investors should approach buying and selling stocks. This might sound like a simple distinction. But trust me, it’s something most authors gloss over. And it goes a long way to helping you get value out of his stop loss strategy. I really can’t emphasize this point enough. When you’re buying stock you need to know how long you’ll hold it. And differentiating between investing and trading is the essential first step. Got it? If you’re still a bit fuzzy read the post about how to figure out when to sell a stock. Weinstein recommends you buy stocks that are emerging from consolidation patterns. When the stock is breaking out of the recent trading range (and if it does so on high volume with strength relative to the market indices) then you can buy a 1/2 or 1/3 position. Weinstein recommends buying the breakout because stocks don’t always pull back. Next, wait for the stock to keep breaking until it starts to retrace. Sometimes the stock will sell off back to the initial breakout. Other times it will find support and put in a higher low above the consolidation pattern (and initial breakout). Weinstein’s buying strategy for investors recommends that you buy another 1/2 or 1/3 position here when price comes back up on volume after the first higher low. Make sense? Weinstein recommends that you put your stop loss about 7-10% below your entry AND at a point where the stock has fallen below the bottom of the consolidation pattern. This approach encourages you to find tighter consolidation patterns (which Weinstein describes as more bullish). If your stock continues to break out, Weinstein recommends moving your stop loss up, and selling your stock in 1/2 and 1/3 positions. First, keep the stop loss just below the 30 week moving average, and sell 1/2 or 1/3 of your stock position when the stock cuts through here. Then, if there is a trendline that is supporting the stock higher you can sell another 1/2 of the stock when the trendline breaks. 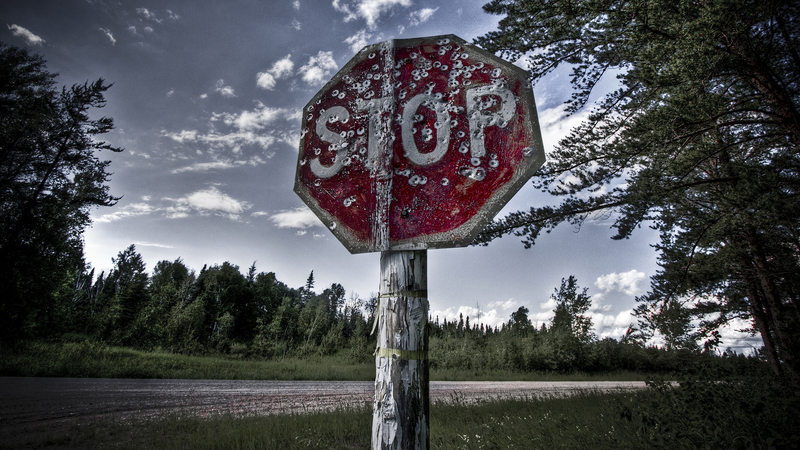 This stop loss strategy protects your capital and is really important to protecting your stock positions. I really like the way Weinstein focuses on two criteria. The point is to keep your loss small, but give your idea time and space to work. You need to be honest with yourself up front though and pick reasonable stop losses. Stain Weinstein’s Stop Loss Strategy For Traders is like a one-shot-only version of the trading strategy for investors above. Weinstein assumes that traders are putting on whole positions at once and looking to make quick bang for the buck – that’s pretty reasonable to assume right? (1) Trades should work out quickly. So put your stop loss below the nearest correction low before the breakout. (2) Understand that good trades usually work quickly and move with strength. So if your stock pulls back more than 4-6% you should cut your loss. When you play with a full position out of the gate you need to protect your capital and cut losers quickly. By The Way: In this part of the strategy Weinstein also advises that investors NEVER use only a % stop loss in their stop loss strategy. He says you need to consider the bigger picture. Finally, if your stock does break out then you should move your stop loss up. If it retraces more than 7% you should sell it. Otherwise just keep moving it up 1 or 2% below the prior correction low. Does that approach make sense? With traders I think it’s pretty clear cut… Just keep your losses small and let your winners run. In both cases, Weinstein’s strategy reminds us that it’s important to be able to admit that you are going to be wrong. Nobody is right 100% of the time. And you can tie up your money and sustain significant capital losses if you aren’t willing to take your head out of the sand. Seriously! But hopefully this review of Stain Weinstein’s Stop Loss Strategy has helped. If you’re looking for more advice you should definitely check out his book. And By The Way: If you’re looking for more information how to trade more intelligently then feel free to enter your email address in the form below. You’ll get free resources and tools weekly, to help you make smarter stock trading and investing decisions. This entry was posted in Stock Ideas and tagged stop loss strategy on February 20, 2014 by Jworthy.